When you heater operates inefficiently, your property cannot be kept as comfortable as your family expects. In addition, this substandard comfort costs more energy than it should. If your heater breaks down completely during the winter, your property can become entirely unlivable. As such, you have an obligation to ensure that your heating system is always well maintained. At Precision HVAC, our heating contractors are here to help you with this responsibility. Our HVAC technicians proudly serve families and businesses in the Saugerties community and the surrounding areas. We have the knowledge, skill, and experience necessary to provide heating repairs for any conventional heating device throughout its service life. Our professionals can troubleshoot and repair furnaces, boilers, and heat pumps. The one constant in everything that we do is our goal to achieve complete and total customer satisfaction. If your heating system is malfunctioning or completely inoperable, call Precision HVAC today. Our courteous and polite staff is always ready and eager to assist a Saugerties family or business. We would be happy to take your call, to answer any of your questions, and to schedule your appointment today. In every service that we provide, our Saugerties professionals place customer satisfaction as our highest priority. Our locally owned and operated company strives to form long lasting and mutually beneficial relationships with all of our customers. We know that the key to this objective is to always provide the highest quality services possible. As such, when you hire us for your routine and emergency heating needs, our team will always focus on providing you with high quality heating repairs. In the end, we want to ensure that your heater functions in the most reliable, efficient, and effective fashion. Through these exceptional results, we convey the fact that you can always trust us for your heating repairs. 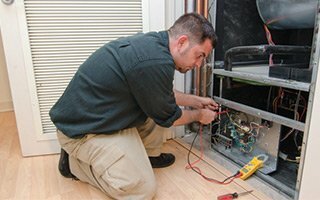 If you need to hire a professionally licensed heating and air conditioning contractor who specializes in heating repairs in Saugerties, call Precision HVAC today at 845-399-0669, or fill out our online request form.